Florida has the highest percentage of older adults among all U.S. states: the Florida percentage is 17.3%, in a country where the overall percentage is 13%. · 9 out of the 10 oldest large counties are in the state of Florida. Check out our maps/charts below to find out which other counties in the state made the list. 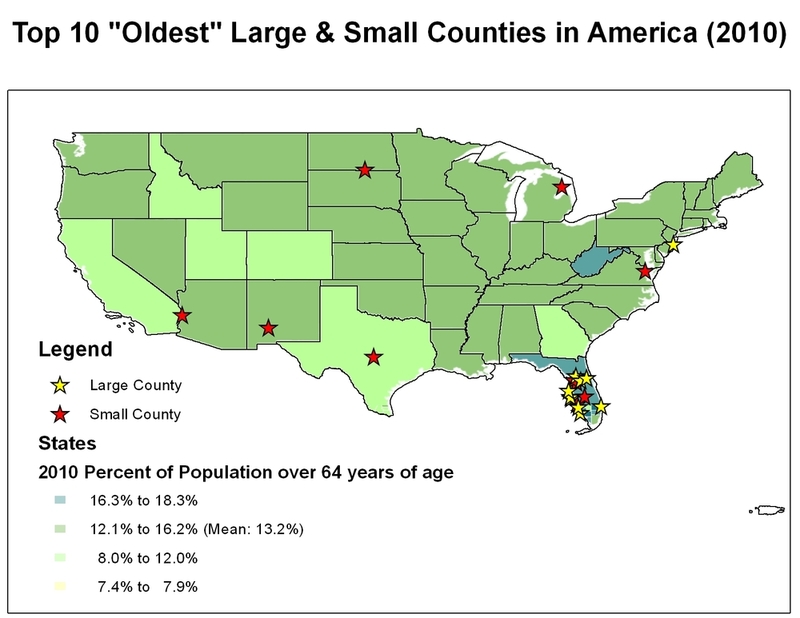 Sarasota County, Florida is still #1 as the oldest large county in the United States, with 31.2% of residents age 65+. Sumter County, Florida is now #1 as the oldest small county** in the United States, with 43.4% of residents age 65+. Charlotte County, which was the oldest small county in the 2000 Census, is now the second oldest small county in America. 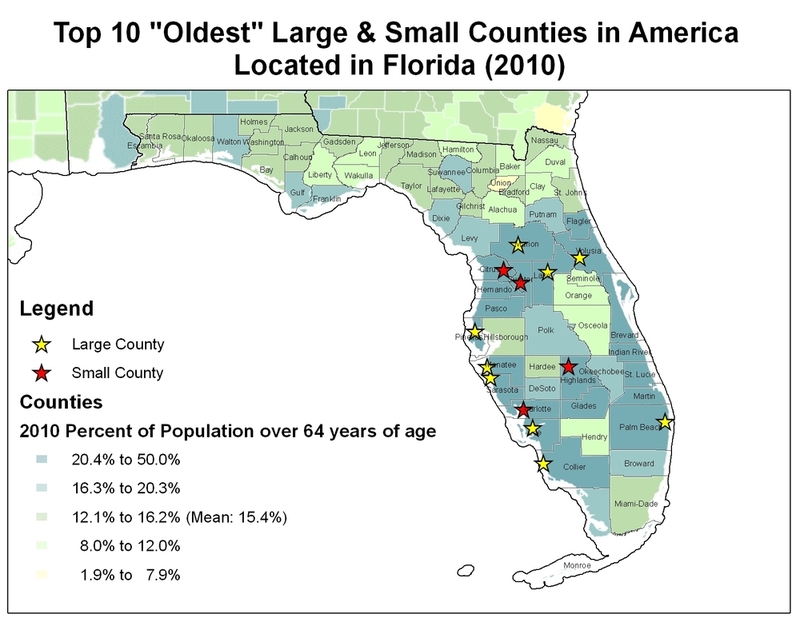 What do you make of Florida counties representing 9 out of the top 10 oldest large counties in America? How might our own Sarasota County make the most of this special distinction, while we’ve still got it? Maps are provided below that illustrate where the “oldest” counties are in the nation. Click several times on the pictures to make them larger. For more details on the color scheme and a look back on what the year 2000 looked like, click here.